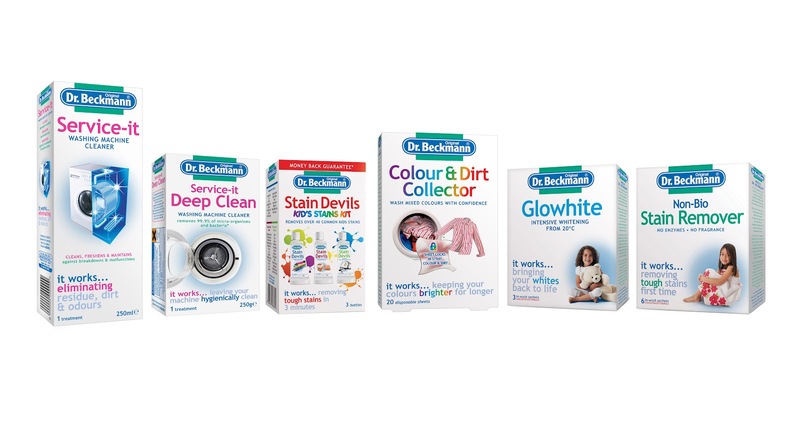 Dr. Beckmann have kindly given me a selection of their products to give to one very lucky winner. Why not check out their website at http://www.dr-beckmann.co.uk. You can become a fan on Facebook at https://www.facebook.com/drbeckmann and follow them on Twitter http://www.twitter.com/DrBeckmannUK. the stain remover - it works really well! Fab products, fab prize, Thanks for the chance, Fingers crossed! I regularly use Service-It for my washing machine. Glowhite for school polo shirts, its brilliant! I needed it to keep our white shirts white mainly but it's great because of the UV protection it gives too. The microwave cleaning liquid! Good stuff. The whitener and stain remover is my favourite product. I have never tried it but it all looks good! I've only tried the oven cleaner! the one for fat based stains! fab product! The stain remover is great. Glowhite - teenagers white t shirts demand it! I buy the stain removers. I like the fact that it's really handy to have for the unforseen stain. I have never tried any of the products yet, but I would like to try the Glow white. 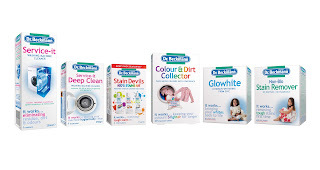 colour and dirt collector - better safe than sorry. I love their Stain Devils especially the one for ink & pens! I love the Colour catcher, great for washing mixed loads. I like the stain remover - I have a very messy toddler and it works! I buy colour collector after a terrible incident where a dress got ruined. I like it because it saves my pretty dresses! The washing machine cleaner because it gets rid of all of the scuzzy bits left behind! Colour catcher is a must have. stain remover - just run out! I've never tried it but stain remover is definately a must by in my house- 2 kids make sure of that! the glowhite - without it, it would be impossible to keep whites clean especially with a 3 year old boy who loves playing with everything that stains! the stain remover, my son has to wear white polo shirts at school - nightmare! I haven't used these for years but I love to try the Deep Clean or the Service it. I never used their products before but the Colour Catcher looks a great idea! We use the Service-It all the time because it gives our aged washing machine a fighting chance! The washing machine cleaner, it worked a treat! the stain remover - great product! I've used the stain remover, it's really good. The stain remover is amazing - and small enough to take on holiday to get sun scream stains out! i always pack the travel hand wash when we go on holiday. its such a handy litle tube and washes clothes well.